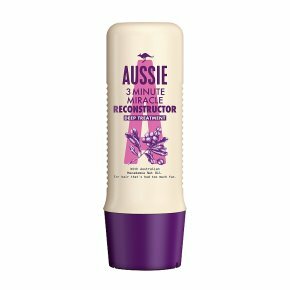 Our special Aussie 3 Minute Miracle Reconstructor Conditioner formula, with Australian Balm Mint extract, smoothes rough cuticles and helps restore manageability and adds shine. It transforms dry, damaged hair into soft, shiny locks. Repairing formula that helps restore damaged hair leaving it soft and full of life. With Australian Macadamia, Jojoba and Avocado Oil. For damaged 'rescue me!' hair.Oooh your poor hair! They can hear those cries for help all the way down under! Thankfully our miracle formula, with Australian Balm Mint extract, will come to the rescue. Our deep treatment transforms dry, damaged hair into soft, shiny locks in no time (3 minutes to be precise). Australian Balm Mint is so amazing that the guy who first brought it back from Australia called it 'The elixir of life'. Just what your lifeless hair is crying out for.